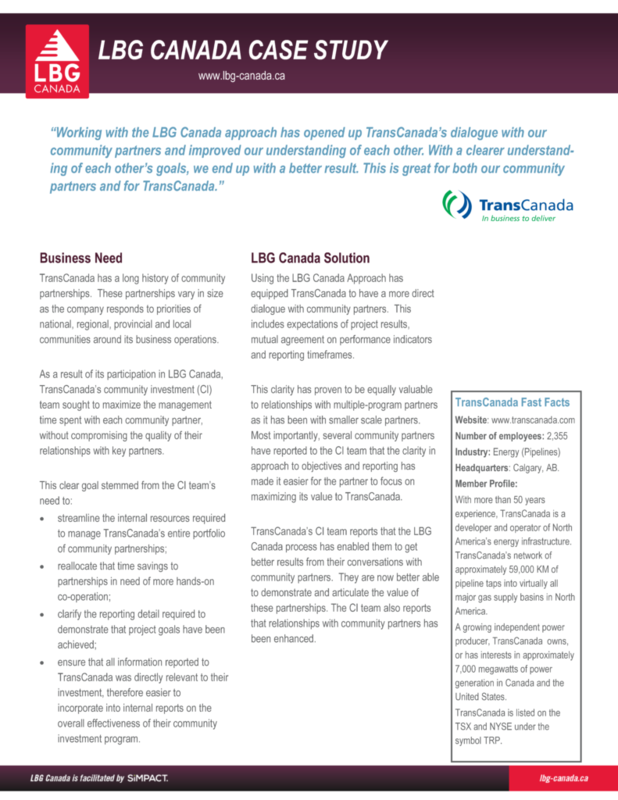 As a result of its participation in LBG Canada, TransCanada’s community investment team sought to maximize the management time spent with each community partner, without compromising the quality of their relationships with key partners. Ensure that all information reported to TransCanada was directly relevant to their investment, therefore easier to incorporate into internal reports on the overall effectiveness of their community investment program. To learn more about how TransCanada used the LBG Canada approach to achieve their objectives, click the link below to download the case study!